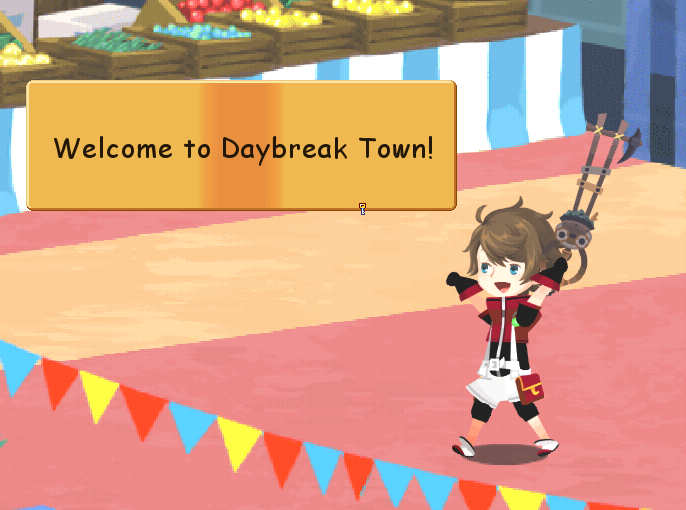 Gamer Escape: Kingdom Hearts Unchained χ started out as a web browser game when it was released in Japan in 2013. Were there any big changes to the game when it made the move over to mobile devices? Okayama: The game is actually completely different from the browser version. We decided to bring it to the mobile devices because there are a lot more users on smartphone devices now. I wanted as many people as possible to be able to play the game. The way that you want people to play the game would be different going from a computer screen to a smartphone touch screen and so we had to create the rules from the ground up for the mobile version. Gamer Escape: More and more games are releasing globally these days, was there any reason why the game launched first in Japan before arriving in North America? Okayama: People might think “aw Japan first again?” But our prototype was actually in English first. We brought it to the States to do a user test in America and that’s how we tested and built up the game. Now, the reason it released in Japan first well, we’re a Japanese team and so it was a lot faster to create that version first. But the prototype was in English so we always had the mentality of releasing in America. Gamer Escape: As new content is released, is that global? or will it be similarly staged? Okayama: One characteristic of a Kingdom hearts game is that it has a really deep story. When you think about having the correct nuance in English, and we have an on-going discussion with Disney all the time – but if we have to do English and Japanese at the same time it would decrease the speed that the content would come out with and I don’t want that to happen as much as possible. I’d like to release it as simultaneously as possible, but there could be delays when it comes to story content. Gamer Escape: Why did you decide on a game that’s free to download with micro-transactions instead of a game that you would pay once for? 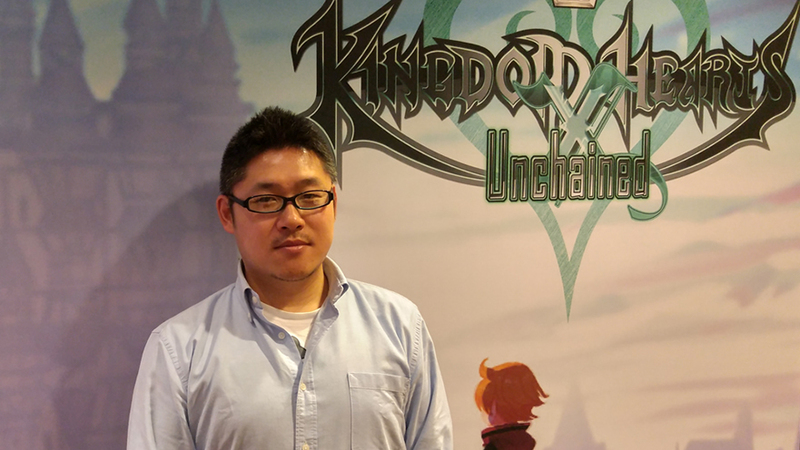 Okayama: One big role that Kingdom Hearts Unchained χ has is to have players who have never touched Kingdom Hearts before to get into the series and now Kingdom Hearts. When I looked at the users on the mobile platform, the most popular monetization system was the Free to Play. So it was pretty much one choice for me. Gamer Escape: What kind of end-game content is there in the game? Okayama: As far as the main story line goes, there’s not really any end-content to it because it will be constantly updated. There are two things on the development side we consider end content. One is the Coliseum – which we used to call the infinite coliseum internally – but you figure out how high of a level you can challenge and it resets every month, but you challenge yourself to see how far you can get each month. The other is the raid boss that appears in the tutorial. The raid bosses you’d like to try and kill with party members because it gets stronger and stronger as you defeat it. This resets every month as well, and it can go up to level 99. So trying to defeat those raid bosses and gaining more experience points or “looks” as well call them, to raise your party ranking, that’s what we want people to enjoy as end content. Gamer Escape: Was there a process for determining the characters that appeared on the medals? Okayama: When we decide medals, the battle system comes first when we think about it. We think about what kind of skills are necessary to move through the story and quests and we decide which character might fit the kind of action or skills they want so it’s a bit of a reversed way of looking at it. 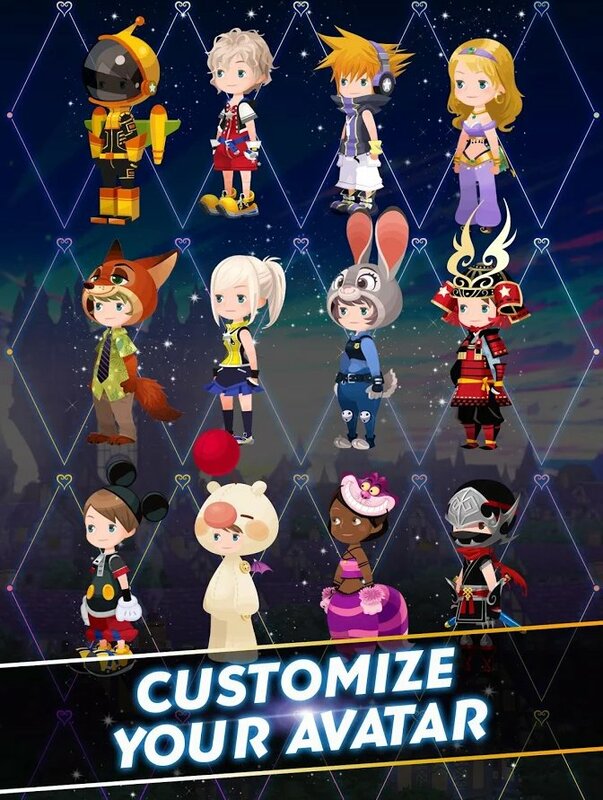 For Kingdom Hearts Unchained χ, we made it in a way so that any character that has appeared in the Kingdom Hearts series can still fit into this world. We hear a lot from the medal team that they don’t know which character to use next because of how many there are to choose from. Gamer Escape: Is there a lot of interaction with Disney for that at all? Okayama: It’s a long running series and so we’ve always been in talks with Disney. It’s nothing new when it comes to this title. Gamer Escape: Will we see any more worlds added in future updates? Okayama: In regards to the stages in the quests, we do plan to release at minimum, 50 stages per month. There will also be seasonal events as well. As far as the worlds go, it is a Kingdom Hearts game so we do plan to maybe add more but we have nothing concrete now. It is very difficult to create a new world. Gamer Escape: I saw online last week that new medals would be making their way into the Japanese version of the game for Zootopia. Is that something that North American players can expect to see? Gamer Escape: That was a lot more specific of an answer than I thought we would get! Okayama: We haven’t told anyone else yet. We do plan to release it on May 2nd, of course it is subject to change. Gamer Escape: How many stages are there right now? Okayama: It’s around 250 right now. Gamer Escape: We have a lot to go then. How many quests are in the Japanese version right now? Okayama: It’s 500 right now in Japan. Gamer Escape: Is there anything your excited for or something you’d like to share with our readers? Okayama: There are actually hidden Mickeys in the stages that you can look for. Gamer Escape: Like the shape? Okayama: Yes, it might be very difficult to find them but they are in there. They’re not in every stage though. Almost two weeks after the release of Kingdom Hearts: Unchained χ in North America, a plush of the player's companion in the game, Chirithy, is now up for pre-order in Square-Enix's online NA store. The plush is the exact same one confirmed for release in Japan not too long ago. The Chirithy plush is expected to be released by the end of August, and is priced at $55. Also, if you haven't, make sure to vote in our Unchained χ Union showdown! Community POLL: Which Unchained χ Union do you plan to join? Hey, all! 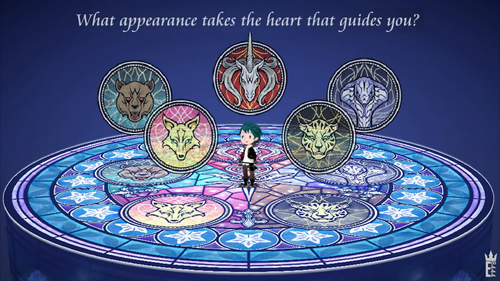 With Kingdom Hearts Unchained χ launching for iOS and Android in North America in a couple of days, we've got some fun stuff in the works! But in order to facilitate that, we want to know: Which Union do you plan to join? Clockwise from the top of the circle, we've got Unicornis, Anguis, Leopardos, Vulpeus, and Ursus. Five Keyblade Masters known as the Foretellers received a dire portent of things to come in their Book of Prophecies: "On that land shall darkness prevail and light expire." To prevent this future from coming to pass, they created the five Unions to gather Keyblade wielders to fight against the darkness.